Christina Hay reports that the Kettering Community Association Christmas Party, held on the evening of 5 December at the Oyster Cove Inn, was enjoyed by 25 revellers.All talking, very noisy, a merry gathering – a most successful night. 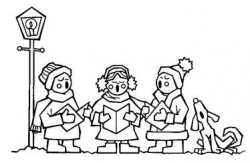 A community carol service will be held at the Church of the Holy Spirit, 2910 Channel Highway, Kettering commencing 7.00pm on Monday 17 December. The number of locations which have websites using a community geographic domain names (eg .tas.au, .nsw.au etc) has grown rapidly over the past few years. Now Kettering has been put on the map. (You’ll need to enlarge the map to separate our blue dot from all the others). 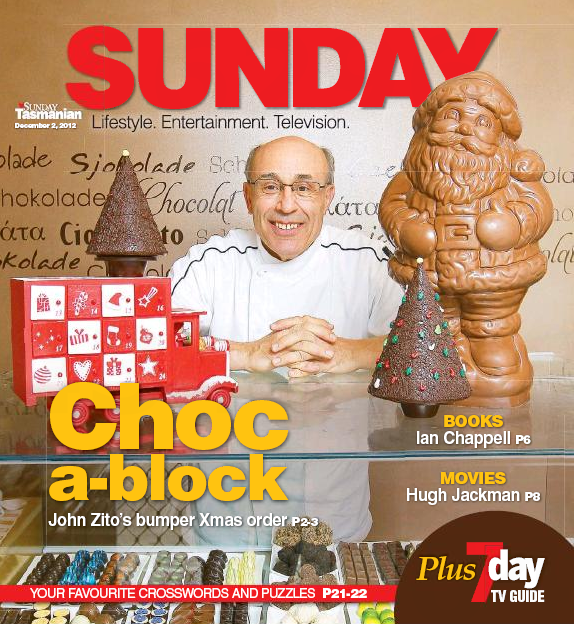 Local choclatier, John Zito, is celebrating the first anniversary of the opening of his shop at 2950 Channel Highway, Kettering. As part of the celebrations Nutpatch are running a daily post on their blog with Christmas gift ideas from their fantastic range. Follow the blog here. Calling for volunteers to help with re-gravelling the Kettering Point Walking Track. This second working bee should see work completed following the outstanding effort on 10 November. Working Bee commences 8.30am Saturday 8 December. Contact Eric Baldwin on 6267 4426 if you are able to help. Is your bush fire plan up to date? 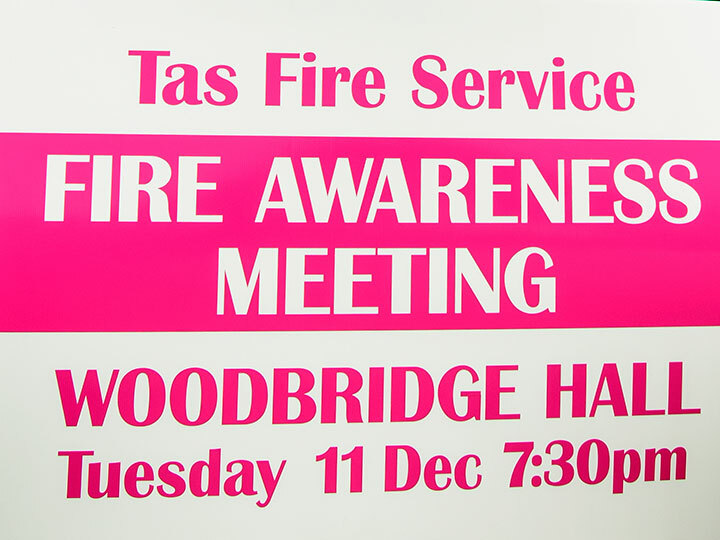 Tasmania Fire Service and local Volunteer Fire Brigade members will present the latest information on bush fire awareness and planning strategies. Special inclusion “Caring for Animals in a Bushfire”. 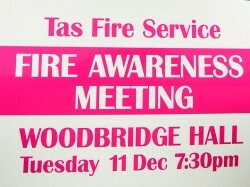 This year at the Woodbridge Hall commencing 7.30pm Tuesday 11 December. All welcome – tell a friend and especially people new to the area. Friends of Kettering are organising a Christmas BBQ and anyone from the community is welcome to attend. If you’d like to join in the frivolities just get down to the Kettering Yacht Club club house at Oyster Cove Marina at 6.30pm on Friday 14 December. 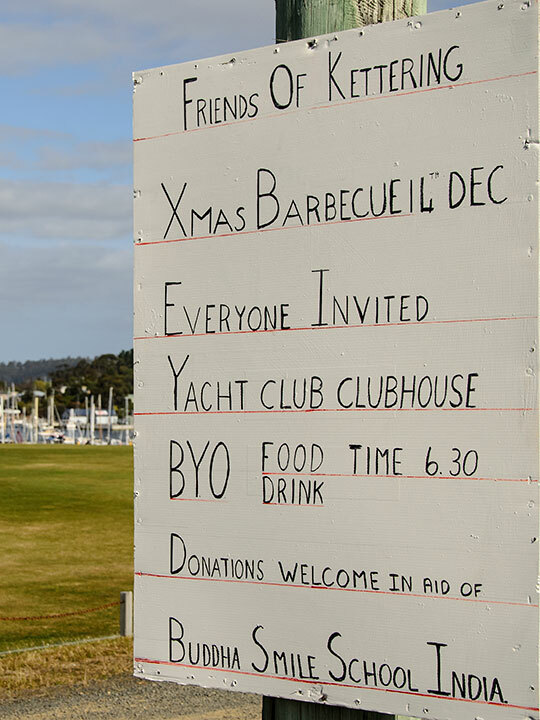 There are two BBQ available and the event is BYO food and drink. Donations welcome in aid of Buddha’s Smile School, India. Kingborough Council has released for public comment a draft Site Development Plan prepared by consultants Beca P/L. The draft plan and other supporting information is available on Council’s website. Submissions on this draft plan are being sought and should be lodged with Council by Monday 17 December 2012. 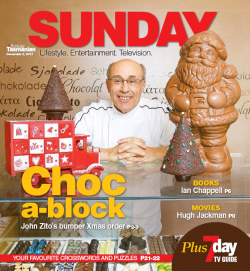 How would you like your Kingborough News? Council are undertaking a survey to determine if they should conntinue to produce the Kingborough News and in what form it should be distributed. The survey is available on-line here. Morrie and Christine Wolf are professional fishers who have worked the Tasmanian coastline for over forty years. 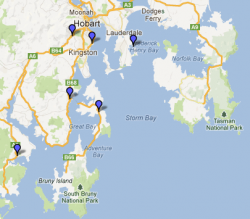 Their La Golondrina Charter boat business provides people the opprotunity to visit fabulous wilderness locations along the south east and south west coast of Tasmania. Click here to see their new website.